This post was published Christmas 2009, 2010. I have added some photographs to the original for this 2011 Christmas. 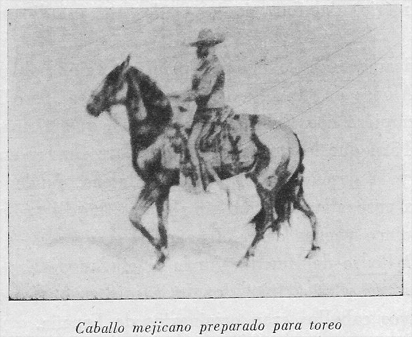 José Ramon Pico, “Before the Gringo Came,” San Francisco Call, December 1899. Here are some selections of Spanish music with mandolin and guitar. Little Bull in the far field. We like, even love, our pickups. The vehicle in people’s lives possess an almost life-like identity as we accelerate, speed and reach our destination, or for that matter, drive just to be driving — touring, it used to be called. We remember our first car we owned, the first car or pickup we drove. My first lesson in driving came in a 1950 Chevy pickup, green in color, in the sands of Sulfur Springs road, near Bend, Texas. I was ten-years-old and the year was 1952. My grandmother sat beside me and taught me clutch and foot-feed (accelerator). I stalled it one time and then, off we went! I loved that Chevy pickup, and, of course, the instructor who finally gave me a passing grade. This month, December, I am selling my 2002 Ford F-150. Its name is Little Bull. His coat is gray. Little Bull has carried me, my friends, my family and all things horsey and mechanical for nearly ten years. He has 260,000 plus miles and is tired and broke, his transmission needing replacement. The service department at Arrow Ford in Abilene, Texas, holds his remains and a repairman wishes to purchase Little Bull and use him for short hauls about the city. For me to repair him costs $2,500.00 and that is beyond my budget. The repairman can tend Little Bull back into health for way less than I can and he keenly wants him. Little Bull is still wanted, still admired, and so I have made the choice to sell. Chariots, wagons and pickups have carried commerce and people through the ages. Vehicles have been spaces for conversations and monologues, carriages to weddings and funerals and platforms for hay and feed. Little Bull has pulled trailers with injured horses to the vet, pregnant mares for foaling and newly-bought furniture from Dallas. I shan’t grow maudlin about Little Bull for it is not good for me and he deserves better in his next life than to be sent away in sorrow. He’s been a good boy, a fine man and now, in his later years, a helpmate for another respectful owner. Little Bull may be cannibalized for parts, his wheels and tires going one way, the headache rack another, but I have cherished his life, his dependability and his character. Like that Chevy in the sands of central Texas, I shall never forget my Little Bull.